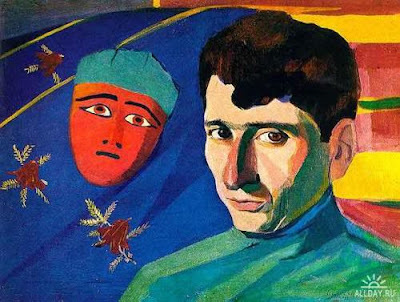 Martiros Sarian, one of the two names of Soviet Armenian culture who earned the title of Varbed (Վարպետ “Master”), was the founder of a modern Armenian national school of painting. He was born into an Armenian family in Nakhichevan-on-Don (now part of Rostov-on-Don, Russia) on February 28, 1880. 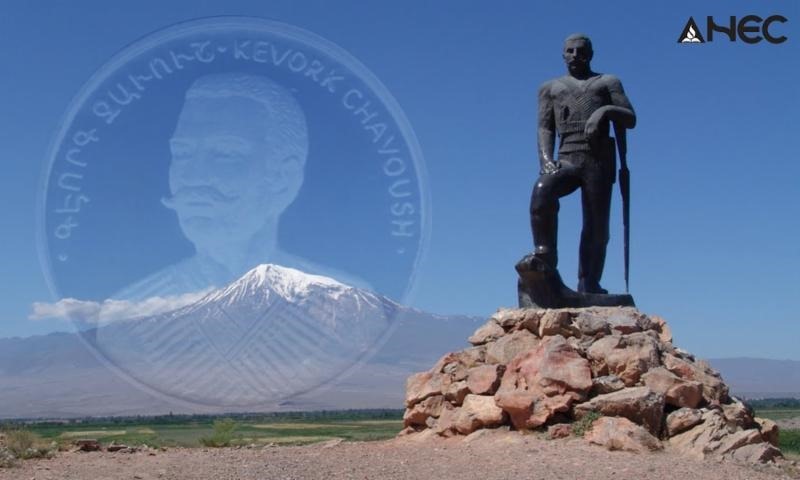 In 1895, aged 15, he completed the Nakhichevan school. He received training in painting at the Moscow School of Painting, Sculpture, and Architecture (1897–1903) and then worked in the studios of the noted painters Konstantin Korovin and Valentin Serov. 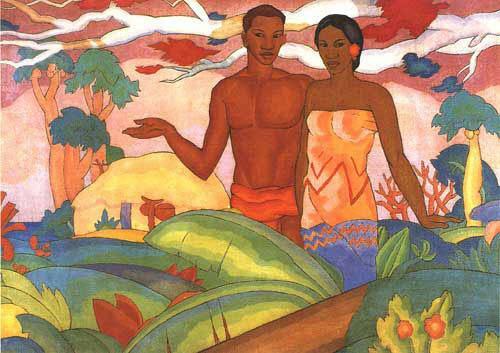 Soon Sarian became a member of a group of Moscow symbolist artists, and he began exhibiting his brightly colored paintings. He had works shown at the Blue Rose Exhibit in Moscow. He first traveled to Armenia in 1901, visiting the regions of Lori and Shirak, the convents of Etchmiadzin, Haghpat, and Sanahin, Yerevan, and Lake Sevan. His first landscapes depicting Armenia (1902-1903) were highly praised in the Moscow press. In 1904-1907 Sarian created the watercolor series "Fairy Tales and Dreams." Some pieces of this cycle were exhibited first at the Crimson Rose exposition in 1904 in Saratov and later at the sensational Blue Rose exposition in 1907 in Moscow. Starting from 1908, Sarian completely replaced watercolor with tempera. During this period, he took an active part in the exhibitions organized by the magazine Zolotoye Runo. From 1910 to 1914 he traveled extensively in Turkey, Egypt, northwestern Armenia, and Persia. These trips inspired a series of large, fresco-like works in which he attempted to communicate the sensuousness of the Middle Eastern landscapes. He also incorporated into a number of his paintings the Persian motifs he had seen in the Middle East. Like many Russian artists of the early decades of the 20th century, Sarian was greatly influenced by impressionism. He was also interested in the paintings of Henri Matisse and Paul Gauguin, as can be seen in his use of areas of flat, simplified color. In 1915 he went to Etchmiadzin to help refugees who had fled from the Armenian Genocide. In 1916 he settled in Tiflis (now Tbilisi) where he founded the Society of Armenian Artists with fellow painters Yeghishe Tateosian, Vardges Sureniants, and Panos Terlemezian. He married Lusik Aghayan, daughter of writer Ghazaros Aghayan, in 1917. The newly married couple moved to Nor Nakhichevan, where Sarian continued painting. In 1920 he became director of the museum of Armenian Folklore in Rostov. In 1921 he moved to Yerevan with his wife and two children, Sarkis (future literary scholar) and Ghazar (future composer). He organized and became director of the museum of archaeology, ethnography, and fine arts (now the National Gallery of Armenia). He also participated in the establishment of the Yerevan Art College and the Artists Union of Armenia. In 1922 Sarian designed the coat-of-arms and the flag of Soviet Armenia, as well as the curtain of the First Drama Theater in Yerevan. In 1924 his works participated in the 14th Bienale of Venice. He was awarded the title of People’s Artist of Armenia in 1925. 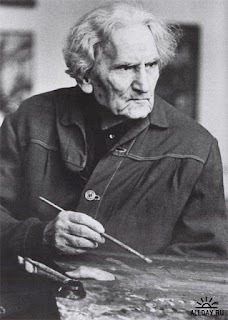 From 1926–1928 he lived and worked in Paris, but 40 paintings, most of his work from this period, were destroyed in a fire on board the boat on which he returned to Armenia, where he lived until his death. He spent most of his career painting scenes, especially landscapes of the homeland, often employing the impressionist technique of vivid, dappled color to capture the effects of light. He also painted many floral still lifes, as well as portraits. In the difficult years of the 1930s, he was criticized as a formalist, since his work did not fit the state-sponsored artistic ideology of socialist realism. Sarian’s creative work was removed from the context of world modern art. A dozen of his portraits, which represented figures who were victims of the Stalinist purges, were destroyed in 1937. 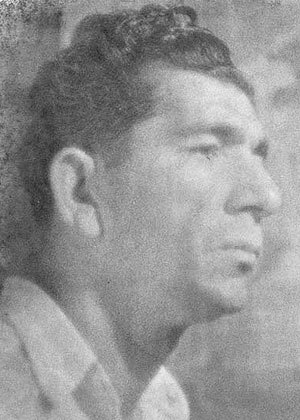 His famous portrait of Yeghishe Charents, however, survived. Nevertheless, he managed to continue his work and come out of this period unscathed. In 1941 he won the State Prize for his design of Alexander Spendiarian’s opera, Almast. 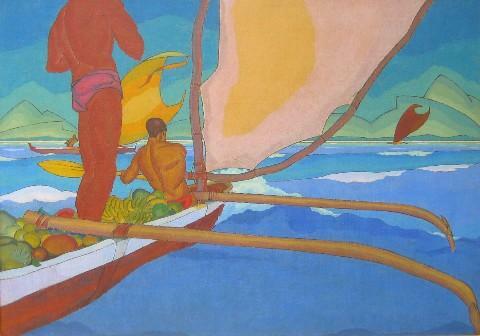 His work was subjected to new official criticism after World War II. Nevertheless, artistic freedom was more or less regained after the death of Stalin (1953), and Sarian returned to his traditional themes. His series of landscapes “My Homeland” won the State Prize in 1961. His 85th birthday was widely marked, and a documentary on his life and work was released in 1966, when he also obtained the State Prize of Armenia for the third time. The Martiros Sarian house-museum was opened in 1967, when his memoirs were also published. He was also elected as a deputy to the USSR Supreme Soviet several times and awarded the Order of Lenin three times, as well as other awards and medals. He was a member of the USSR Art Academy (1974) and the Armenian Academy of Sciences (1956). Sarian continued his creative work almost until the end of his days. He passed away in Yerevan on May 5, 1972. He was buried at the Gomidas Pantheon, next to Gomidas Vartabed.